Unfortunately I've got a bit of a problematic complexion (the remnants of my teenage acne, oily skin, dry patches...) so I'm always a bit wary of trying new face products in case they end up making my skin even worse! 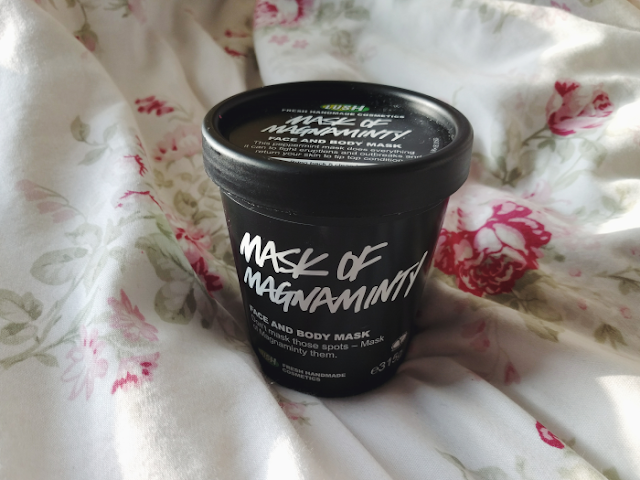 However when I was searching through Lush's website a few months ago in the hopes of finding a new face mask that would agree with my skin, Mask of Magnaminty seemed to have a lot positive reviews from people who also had problems with their skin so I thought I'd give this a go! Although I bought this to use for my face only, Mask of Magnaminty is actually a face and body mask designed specifically to target spot-prone skin and it's available in two sizes - 125g for £5.75 and 315g for £9.95. Being a bit of a newbie to Lush's website when I bought this I actually ended up buying the larger size to begin with, not realising there was a smaller size available! But you do get a really good amount for your money. The first thing you'll notice when you open a pot of this is the AMAZING scent. One of the main ingredients is peppermint oil so if you like the smell of fresh mint then you're in the for a treat! I'm a huge fan of mint so to me this is heavenly! Not only does the peppermint oil make this smell delicious but it also gives you a bit of tingling sensation when it's first applied. Personally I like the feeling but even if you're not a fan it soon goes away. I usually leave this on for about 20 to 30 minutes while it dries but I think you could get away with leaving it on longer if you wanted to! 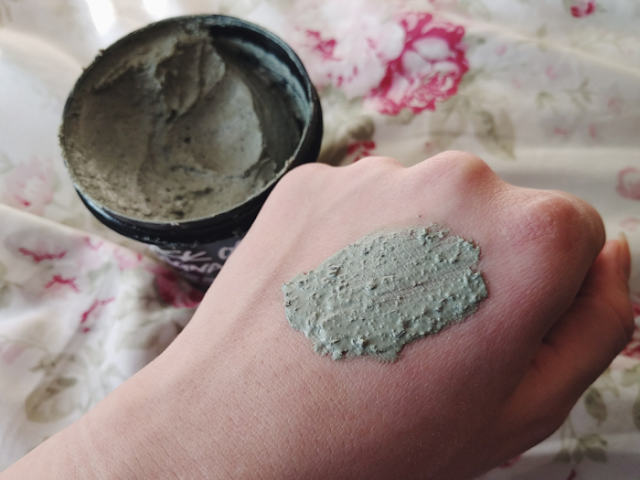 Mask of Magnaminty also contains evening primrose seeds and aduki beans to act as an exfoliator so it takes a good scrubbing to remove this mask (I usually use a wet cloth if I'm in the shower or wet wipes if I'm not) but I actually really like this. The combination of the peppermint oil and the exfoliation always leaves my skin feeling beautifully fresh and clean so I always find myself reaching for it in times where I've been neglecting my skin (hello exam season). I also think this will be perfect for taking on holiday - I usually find when I've been out all day on holiday my skin comes back in the evening feeling really horrible and greasy so I'll be adding this to my suitcase in future to give my skin a good refresh while I'm away! The only downside to this product that I can think of is from the description Lush makes it sound as if this will help clear up spots but sadly I can't say this has happened for me. However as I'm still suffering from acne this is probably pretty unlikely! I can definitely say though that this does not cause me to have further break outs which is a huge bonus as this is always a worry with new face products! So if you have spot-prone skin/acne, this should hopefully be safe for you to use too. If you've been umm-ing and ahh-ing about whether to buy this product, I'd say go for it! This has definitely become my favourite face mask!